When we feel fulfilled, happy and positive, we tend to enjoy better health. We get more out of life and we can give more to our friends and family.But things happen. Sometimes we need a little help to stay in balance and move forward. That's when Bach Original Flower Remedies can help. He identified 38 basic negative states of mind and created a plant or flower based remedy for each one.After leaving London in 1930, Dr Bach explored the countryside in search of the remedies for several years. In 1934 he decided to settle down and create a centre for his work, and chose Mount Vernon, a small cottage in Sotwell, Oxfordshire.He spent the last years of his life at Mount Vernon and it was here that he completed his research. 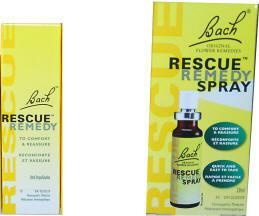 Only the Bach signature guarantees that you receive the original Bach Flower Remedies , prepared as they have been since Dr. Bach's time with tinctures made exclusively by the Bach Centre at Mount Vernon. Dilute two drops of your chosen remedy in a glass of water and sip at intervals. Replenish as neccessary. For multiple use, add two drops of each chosen remedy* to a 30ml mixing bottle (you may combine up to seven remedies in this bottle), top up with mineral water and take four drops at least four times a day.